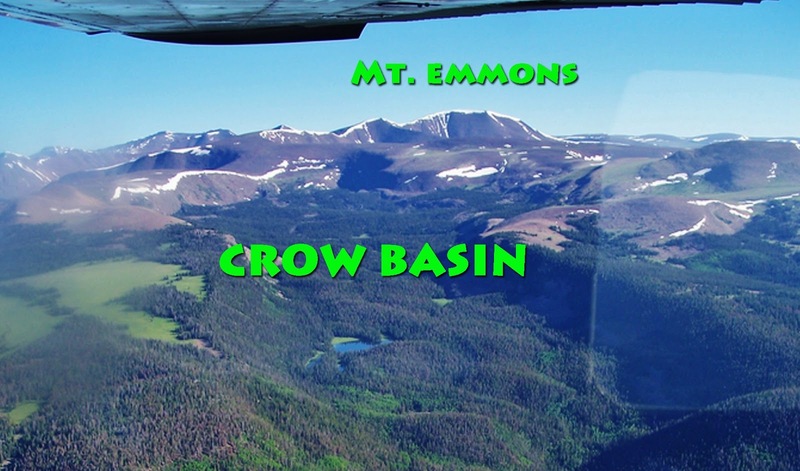 From July 19-24 I work on exploring CROW BASIN – part of the smallest drainage in the High Uintas between the Yellowstone and Uinta Rivers on the South Slope. I had to move the schedule ahead 1 day. I will leave for Duchesne on Thursday the 18th, to consult with the Forest Service, and hope to be on the trail on the 19th and call KSL Outdoors Radio on the 20th to report my progress. If interested see the map and you can even watch the YouTube Video of my 2011 effort to get there. You can follow me at SPOT tracking. I will begin the exploration with an “OK” when I leave the car. Thereafter I will end each day with an “OK” when I set up camp, and at the end of the exploration when returning to the car. If in the middle of any day an “OK” appears, it will be because of wanting to mark some special location. YouTube Video #2-2013 Exploring Middle Fork of Blacks Fork. Sorry about the cover photo. I wasn’t given much of a choice, but it is an interesting Google Earth view of one of the 14 tie hacker sites I found, mapped, photographed, measured and dated. Learn more in this video about these touch guys without whom the West wouldn’t have been won!